He Thought The Last Message From His Wife Was Gone Forever But He Was Wrong! Losing someone you love is truly heart breaking. We never want to lose our memories and in our current day and age, we have many ways to keep them alive, such as through photos and voice messages. Stan Beaton lost his wife and the only tangible piece he had left of her was a voicemail. Unfortunately, that one voicemail was deleted and he assumed it was lost forever. However, when one local man heard of Stan’s situation, he employed 10 people to retrieve the message. 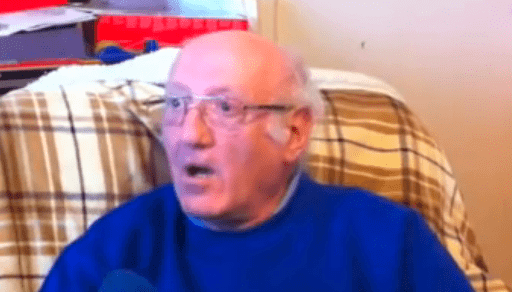 Watch this amazing video to watch the moment when Stan gets to hear his long lost wife’s voicemail. Doing something for someone you don’t know is a genuine act of love. Hats off to those people who worked on retrieving the voicemail. They are real heroes! Previous article They’ve Been Friends For 94 Years & Want To Tell You All About It! Next article Watch & Be Shocked How People Treat This “Homeless” Man! 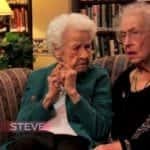 They’ve Been Friends For 94 Years & Want To Tell You All About It! 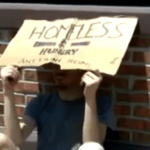 Watch & Be Shocked How People Treat This “Homeless” Man!